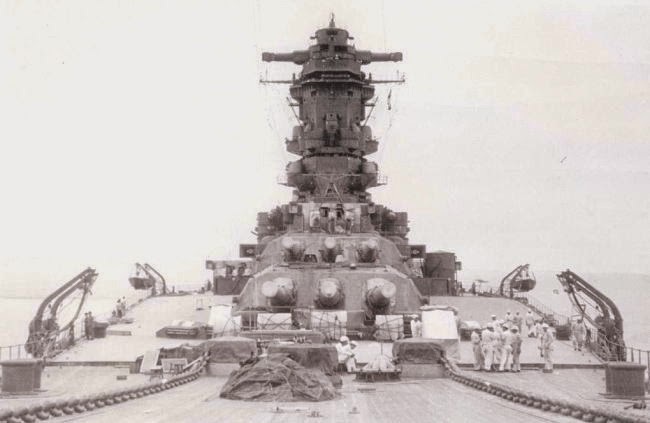 The story of the Musashi is one of the epics of World War II naval warfare. 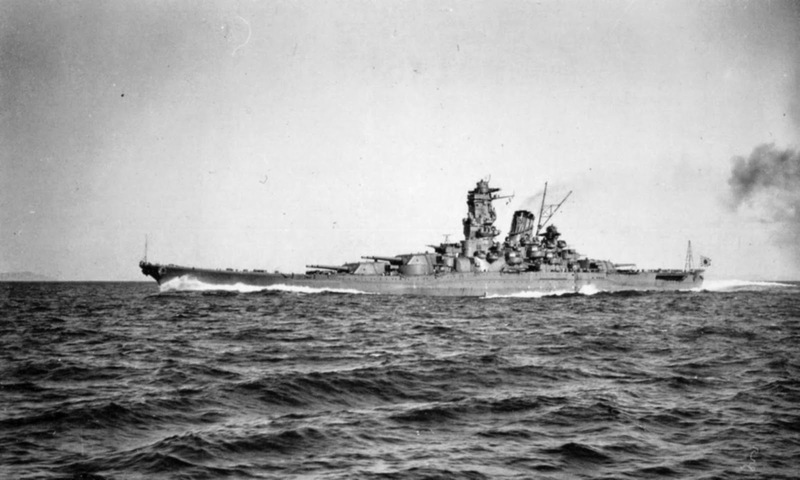 It was one of a trio of Yamato-class massive battleships built by the Imperial Japanese Navy (IJN) during the war. It was 263 metres (863 feet, almost three football fields) long. They were the biggest battleships ever - and completely ineffective. American warplanes sank the Musashi on October 24, 1944. It was sent on a suicide mission (not enough fuel to return to home port) at the height of the Battle of Leyte Gulf. 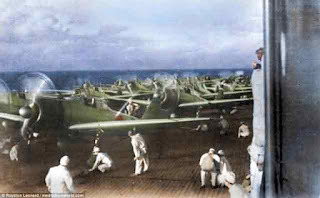 Leyte, of course, was the the largest naval encounter of the war, despite being a one-sided American victory. US and Australian forces both participated. Reportedly, the battleship was so overwhelmed by American torpedo bombers that it vainly fired its nine 45-calibre 46 cm (18.1 in) Type 94 guns mounted in three triple gun turrets to try to disperse them. 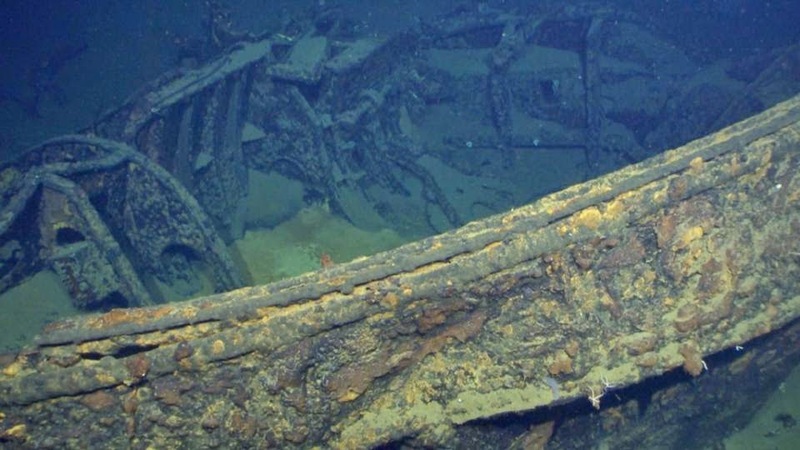 Microsoft billionaire Paul Allen announced on 3 March 2015 that he had found the long-sought wreck of the Musashi. 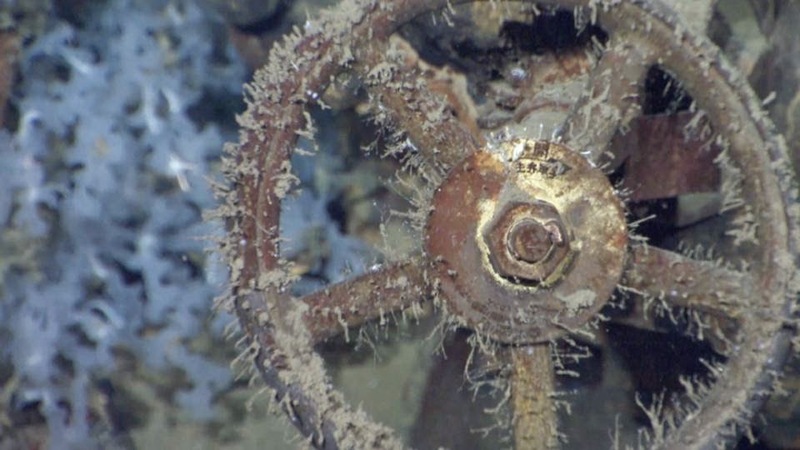 Allen discovered it with his M/Y Octopus exploration vessel one kilometre (1.6 miles) deep on the floor of the Sibuyan Sea not far from the Phillipines. 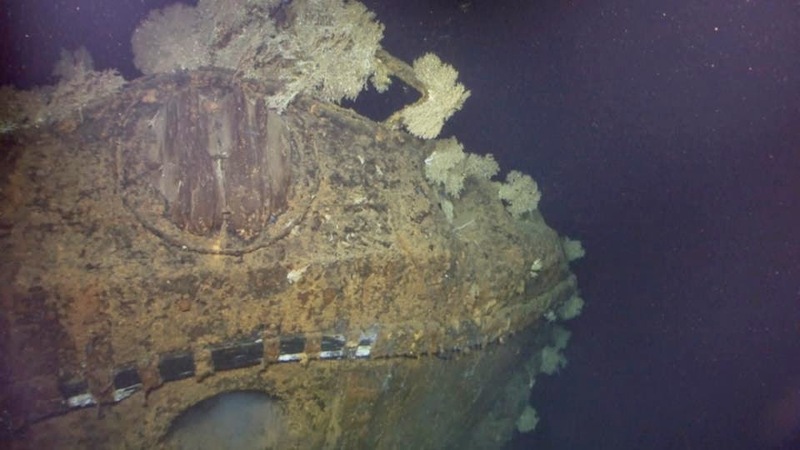 No doubt, there are many IJN sailors entombed within its massive hulk. Allen is a big World War II fan. I have written previously about his determined effort to get one of the few remaining Panzer IVs for his museum after an online auction gone wrong. While that transaction still appears uncertain, there appears to be no question that he has indeed found the Musashi. "Since my youth, I have been fascinated with World War II history, inspired by my father's service in the US Army," Allen said. 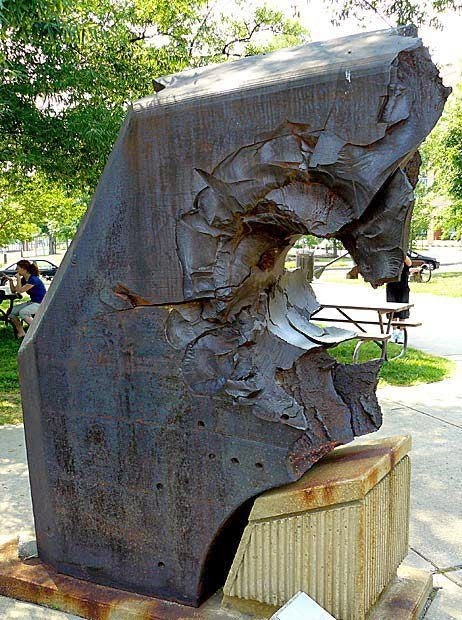 26-inch thick armor from a Japanese Yamato class battleship, pierced by a US Navy 16-inch gun. The armor is on display at the US Navy Museum. "The Musashi is truly an engineering marvel and, as an engineer at heart, I have a deep appreciation for the technology and effort that went into its construction."